I am, for those of you who don't know me, a very materialistic person. I am very comfortable with my materialistic nature. My good friend suburban_gypsy once dubbed me a "materialistic consumer whore", a label I now wear as a badge of pride. My things are precious to me. I chose them with agonizing care, and they are a part of who I am. I love my things, and I am not ashamed of it. Take my cell phones for example. I was one of the last of the people I knew to get a cell phone. Not because I was afraid of the technology, or had anything against it like many people. But because the ones that were being made just weren't good enough yet. I didn't want one of those clunky lunch-box like things as a part of my life. 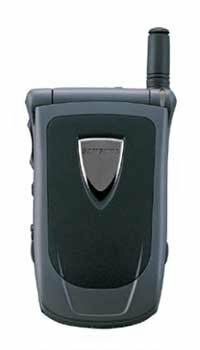 When I finally did buy a cell phone, it was a Samsung 8500. I couldn't tell you the specs, but I can tell you that when it closed it had a satisfying *snap* that was both soft and decisive. It was from the first generation of flip phones, and the weight of it in my hand felt sturdy and yet elegant at the same time. My next phone was the Samsung A500. It was so tiny! The buttons glowed a pretty blue, and the inside screen was in color! I remember the awe I felt the first time I saw the amazing picture on the screen. The buttons had a dainty little click when pressed, and the itty bitty LED on the outside was shaped like half a gum drop. It felt like magic and spaceships in my hand. I have kept all of my cell phones, over the years. As each one past its time, I couldn't bear to part ways. Except for the first, I kept all of their original packaging, and though they all bear the scars of a life well lived, I like the thought that at any time I could charge them up again and turn them on. (*) Like saying hello to old friends. Man, I've got a lot of junk. * A theory which by the way, I have never tested. I am afraid I will find that they do not function properly without a valid network account to connect to, and I will be heartbroken. Hehehe. I have all my old ones too, but more because I'm a pack rat than anything else. Traveling showed me how materialistic I was, and temporarily cured me of it. It was rather freeing. Unfortunately now that I'm back with all my stuff I'm once again attached to it though. Funny how these things work. **if you do decide to get rid of said cell phones, there are a couple good charities you can give them to that will basically set them up so that homeless people can have them for emergency use only....they program them so that they can only dial 911 and the local police station, I believe. Homeless people can not have my cell phones. I recall one charity handed them to women who were otherwise in need. That might be better call if homeless people have them gives you the willies. Strangely, sometimes I find myself missing my first cell phone. It was a Nokia with a green screen, and you would have hated it. But at times I miss being able to make my own (really short, non-polyphonic) ring tones and playing snake. If Brad had a list of all his old phones, it would probably be similarly glorious. Even back in high school when he had a run of the mill Nokia, it was all decked out with lights and a weird case and some stuff that made it look all special. Heh.